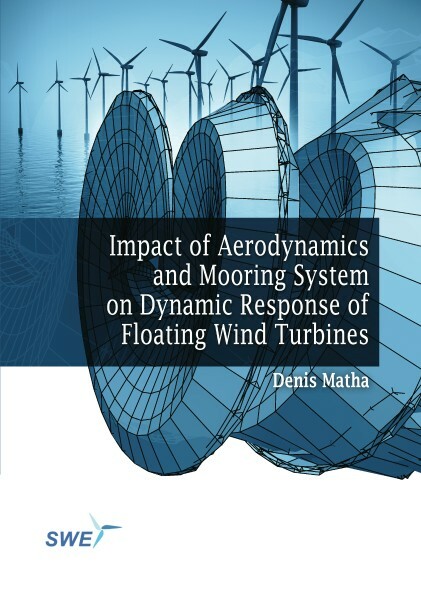 This work investigates in detail selected numerical modelling aspects for floating offshore wind turbines that have an important impact on the dynamic response, loads and operating conditions: the mooring system and the aerodynamics. In the first part of the thesis, the influence of mooring system model fidelity on the global dynamics is investigated by developing a monolithically coupled dynamic multibody mooring system model and comparing it to quasi-static and partitioned dynamic models and experimental data. The conclusions are that the global dynamic motions of the substructure, as well as RNA loads are only slightly affected by the dynamic mooring system, particularly in stochastic sea states and turbulent wind. However when predicting the tensions within the mooring system itself, considerable differences between the quasi-static and dynamic approaches are present. In the second part of the thesis, the influence of six degree of freedom floating foundation motions on the aerodynamic loads at the rotor and the inflow conditions at the airfoils is investigated for three different simulation methodologies, blade element/momentum, free wake vortex potential flow and computational fluid dynamics. Due to the inclusion of resource-demanding CFD and the dynamic nature of the investigated load effects, a dedicated study of a selected large platform motion is performed. The analyses are performed primarily in the time domain and focus on the identification of differences in dynamic loads between the numerical models. Results from the study demonstrate an important influence of dynamic inflow and turbulent wake state correction models in the blade element/momentum based approaches that cause important differences in loads. The key observation from the performed analysis of aerodynamic loads on a rotor subjected to large floating platform motions is that the blade element/momentum method cannot be assumed conservative in predicting extreme loads; blade element/momentum predicted load ranges are smaller than the ones predicted by the other approaches. This potential underprediction of loads and subsequently underprediction of blade-tip-to-tower clearance is relevant for component designs and the evaluation of existing wind turbine designs for floating applications. In addition blade vortex interactions can be observed in potential flow and CFD codes with less influence on global loads but still having a considerable influence on local blade pressures.